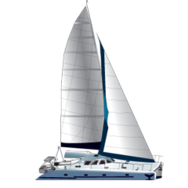 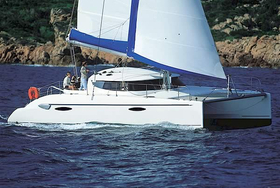 Lagoon 410 S2 manufacturer is the company Jeanneau. 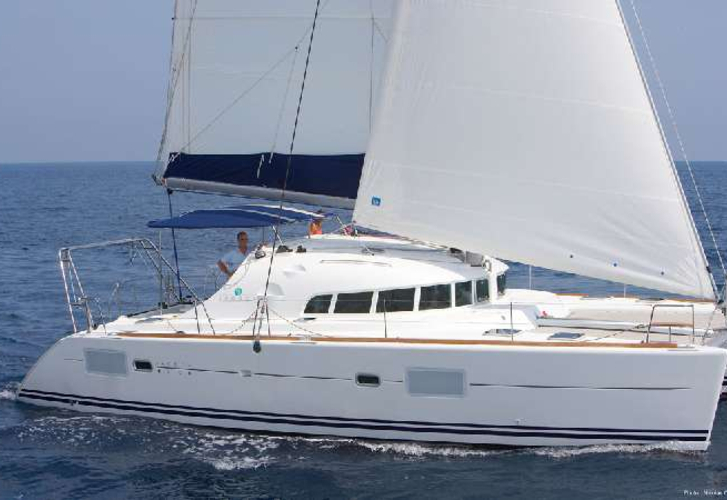 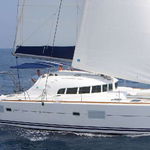 Sailing yacht Lagoon 410 S2 has a lenght of 12.37 m. Vessel's width is 7.09 m. Boat is 1.20 m deep. 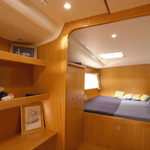 Sailing boat has 10 berths. 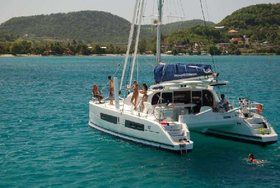 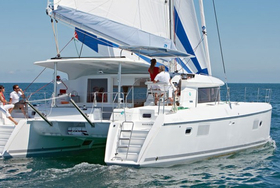 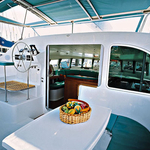 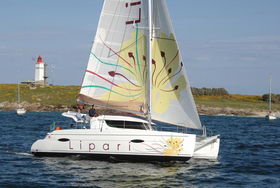 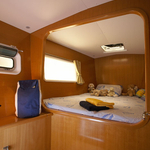 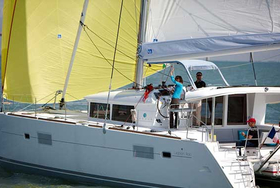 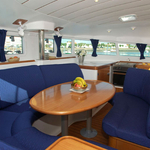 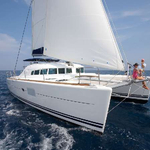 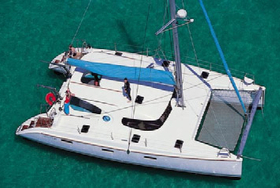 Sailing boat Lagoon 410 S2 assures appriprate conditions for holiday sea trip. 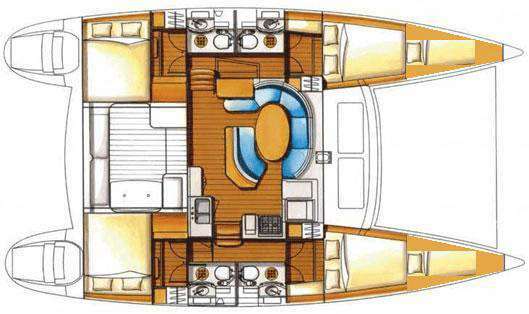 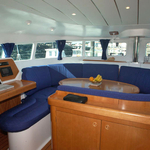 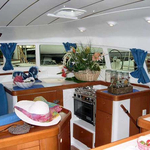 4 bedrooms are situated inside the yacht. 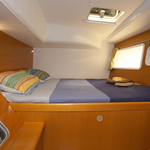 For comfort of passengers there are 4 toilettes with shower. 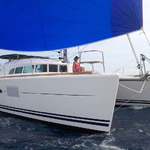 With 90 m2 of sail area you can cruise safe and fast. 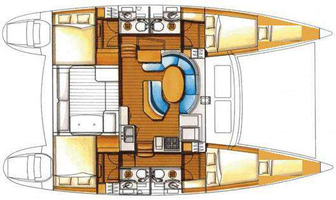 You can fill the tank with fuel with 200 litres and in tank with water it goes even 390-800 litres. 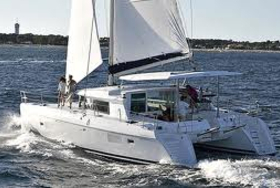 With motors 2x27 Hp you can cruise really fast. 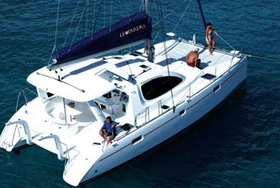 We gather all the best offers for Lagoon 410 S2 for you in one place and you will get them by filling the form above.